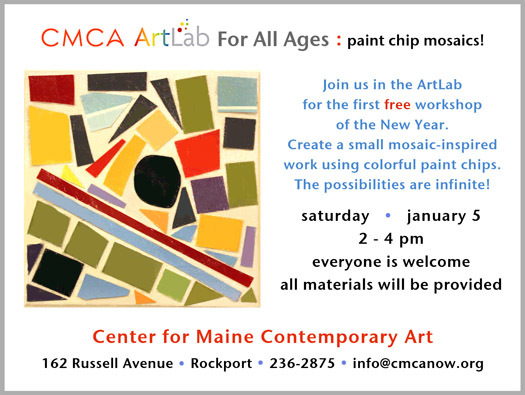 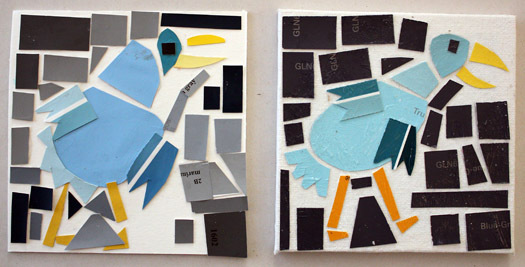 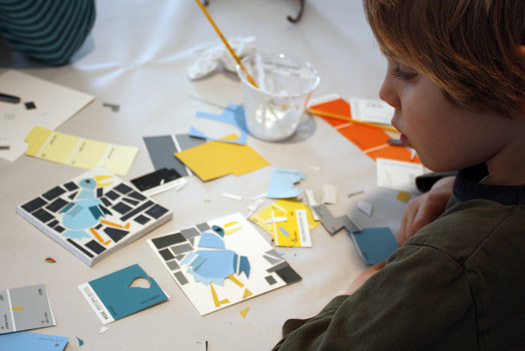 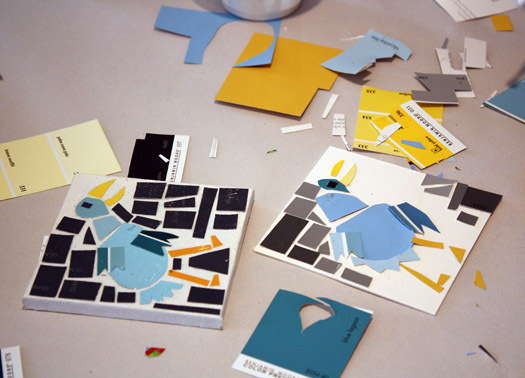 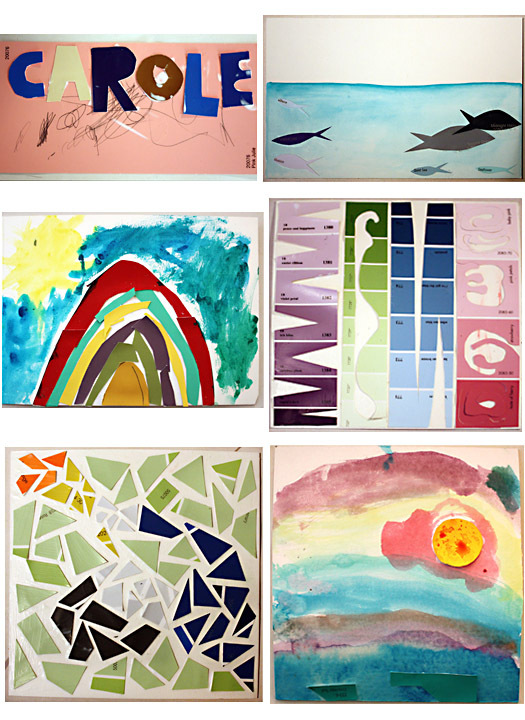 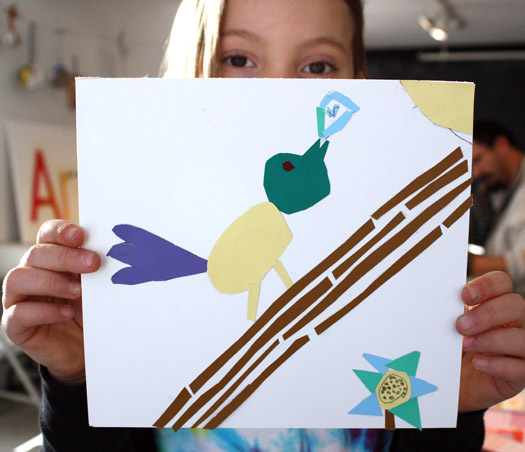 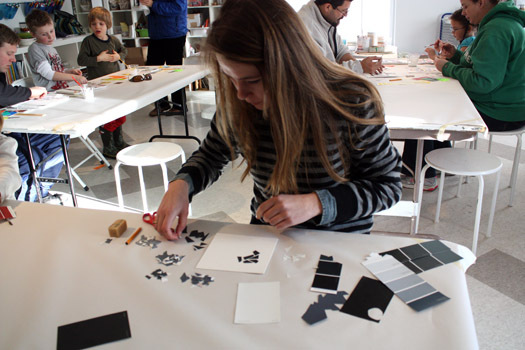 The first CMCA ArtLab workshop of 2013, focused on the idea of paint chip mosaics. 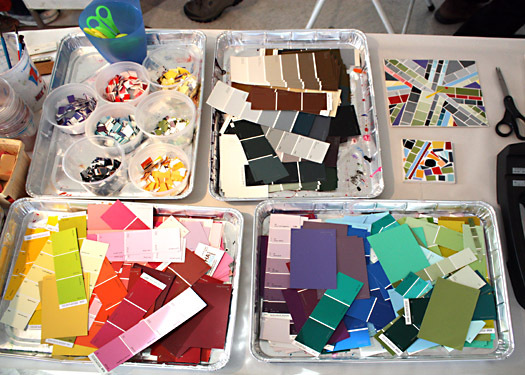 To prepare for the project, I collected lots of paint chips (thank you Home Depot and every other hardware store in the area) and then created a few pieces of my own. 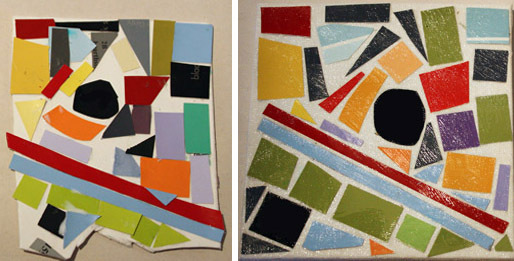 Even though I had spent a lot of time in my studio playing with the chips, and knew that “the possibilities are infinite,” I was still surprised by the range of approaches in the work created. 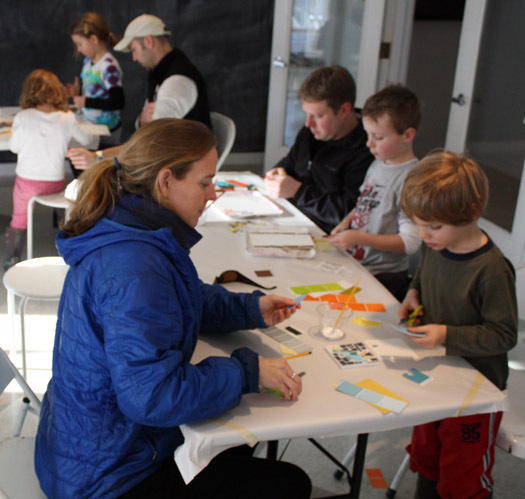 and there were lots of families, working on pieces collaboratively or alone. 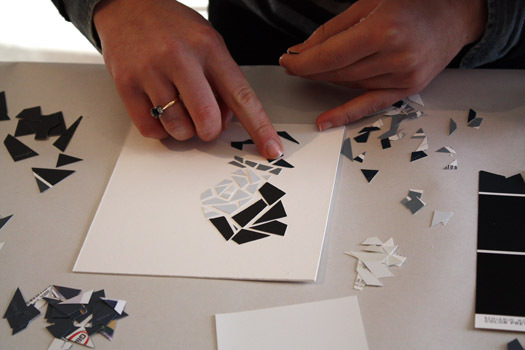 to replicate them for himself. 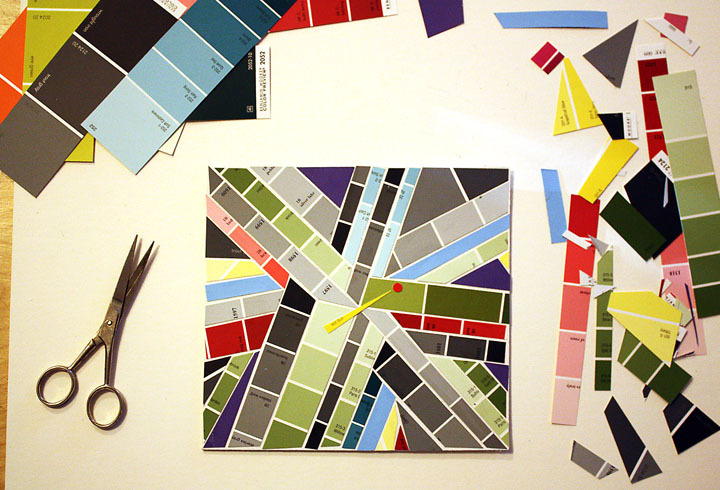 Zeke went on to create (re-create) the one below.